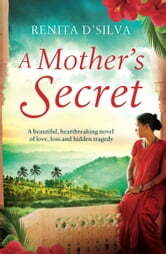 When pregnant Jaya loses her mother, then her baby son Arun in a tragic cot death, her world crashes down. Overcome by grief and guilt, she begins to look for answers – to the enigma of her lonely, distant mother, and her mysterious past in India. This is the first book I have from this wonderful author. The story line was amazing, the descriptions of smells, colours and feelings were so real I could taste, touch and hear as I read. This book is so touching. Opened up questions of my upbringing and makes you realize that people may keep secrets not to hurt but only to protect those they love. I will read more of her books. I highly recommend this book. I ejoyed this wonderful, well written book. I hated to put it down. I got lost in it, feeling like l was right there in India among the charaters. Lots of suspence. I loved the book totally.. Highly recommeded. One of the best books I have read. The story line keeps you interested. I could not put the book down. This is my favorite book this year. A true FAMILY story, woven with love and responsibilities, and food! I can't wait to try some of the dishes I researched.